This is Motorola's most prestigious budget phone, but you can do better. You'd be forgiven for not paying close attention to the release of the Moto G5S Plus; it snuck into the company's lineup in early August alongside the Moto G5S. The 'S' stands for "Special Edition" (Moto G5SE Plus was too much of a mouthful? ), and they're moderately improved versions of the existing Moto G5 line that debuted earlier in the year. Why would Motorola introduce slightly updated versions of existing phones less than six months after their release? Who knows?! What I do know is that the Moto G5S Plus, which is available unlocked in the U.S. for $279, is one of the better budget phones you can buy, but the slightly better build quality, additional camera, and larger display don't justify the additional cost over the existing Moto G5 Plus. There's a lot to like about the phone when you consider its $279 starting price: the metal build quality is unimpeachable, its 5.5-inch 1080p LCD display is vivid and relatively sharp, and its software is among the best in the business, replete with truly useful additions to Android that I actually rely on. The improvements to build quality over the existing Moto G5 Plus — which, also mostly metal, is no slouch — are immediate. Dense and sizeable, the phone belies its budget status with clicky buttons, chamfered edges, and precise etching that wouldn't be out of place on a device three to four times its asking price. This phone looks like a slightly larger version of the same budget phone Motorola's been selling for nine months. Immediately recognizable as a 2017 Motorola device, too, the phone looks pretty good, especially in the new Blush Gold hue that, in the right light, appears lusciously copper. I like it — a lot. There's a fingerprint sensor below the screen, a rounded "Batwing" divot on the back, and a circular camera module with — and this is new — two sensors instead of one. We'll get to that a bit later, but suffice it to say if you've seen a Motorola phone recently, this one will not be difficult to get used to. That's fine because the design is perfectly serviceable; count me among the people that will take a fast, reliable front fingerprint sensor over whatever shenanigans Samsung is up to these days. Here, that's exactly what you get: you can choose to use the sensor as just that (as well as an on/off button by holding it down for a second), or as a navigation tool with Motorola's One Button Nav feature. I'm still not comfortable recommending it for daily use given the tiny amount of reclaimed screen real estate, but others I've spoken to swear by it, so give it a try. Along for the ride is Motorola's industry-leading notification system, Moto Display. Thank goodness Lenovo, Motorola's not-so-new parent company, hasn't messed with a good thing here, because there's no better way to triage Android notifications than with Moto Display. No other ambient display, from Samsung to LG to Google itself, comes close. The Moto G5S Plus has the same 1080p screen as its G5 Plus counterpart, but it's ever-so-slightly less dense. And it's still LCD, not OLED. That's not a slight against the screen — it's fine — but if you're looking for next-gen resolution here, you're out of luck. Here's what's significantly better than the Moto G5 Plus, though: the bottom-firing speaker is much louder and clearer than the single front-facing speaker on the smaller phone; the base model comes with 3GB of RAM instead of 2GB; and the front-facing camera gets upped to 8MP with a wider ƒ/2.0 lens and a real LED flash compared to 5MP/ƒ2.2/display flash. That front-facing camera is legit. The same processor, screen resolution, battery size and charging port doesn't scream "special edition". I having nothing inherently against iterative improvements, but there is very little "special" in the Moto G5 Plus Special Edition. Its larger display, as mentioned, doesn't add anything to the experience, and the modicum of additional metal, while certainly appreciated from a density perspective, can't alone justify the added cost over the G5 Plus. 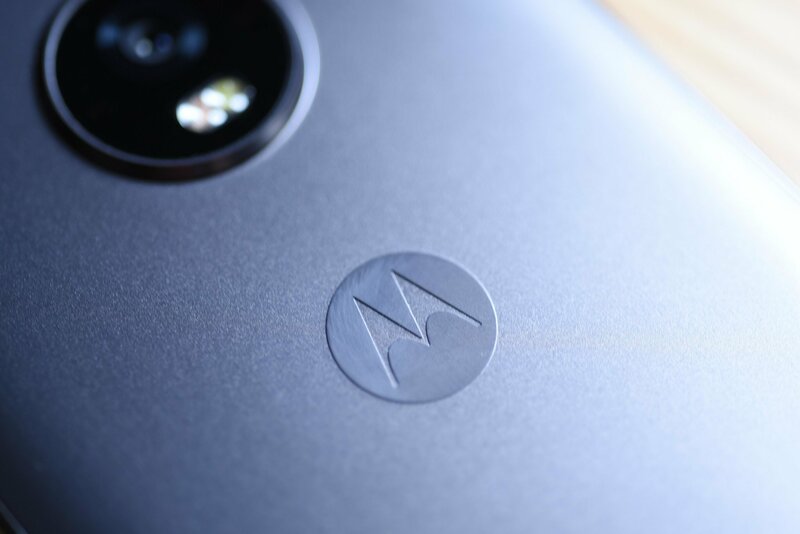 Motorola also chose to keep the same Qualcomm Snapdragon 625 processor inside the phone, too, which is a fine chip, but since it debuted in the Moto Z Play last year, it has since been displaced by the Snapdragon 626 and, more recently, the 630 (where it finds a home in the excellent Moto X4). Similarly, the 3000mAh battery inside the phone hasn't changed either, which means battery life hasn't improved over the Moto G5 Plus. Again, fine, but it would have been nice to see the phone achieve better uptime than its predecessor, since that phone wasn't particularly impressive in that area. All of these decisions would be understandable were it not for the phone's biggest change, the inclusion of a dual camera setup — two seemingly-identical 13MP camera sensors with ƒ/2.0 lenses. Having two sensors obviously allows for shots with artificial bokeh, but they lack the additional connective tissue to justify what is clearly a downgrade in traditional photography from the Moto G5 Plus. That phone has a single 12MP sensor with 1.4-micron Dual Autofocus pixels and a wide ƒ/1.7 lens. It's not the best camera — it struggles in low light — but it's damn good for its price class. In fact, it's probably unmatched under $300. Motorola sacrifices fidelity for a gimmick with the Moto G5S Plus; the 13MP primary sensor, which will be used far more often than both together, has smaller pixels, less reliable autofocus, and much less impressive low-light prowess. For all but a few situations, this is a worse camera experience than its cheaper counterpart. In fact, even that depth gimmick is undermined by some abysmal performance in the camera app; switching to it causes the frame rate to drop precipitously, making it difficult to line up a good shot. And as we discovered with the Moto Z2 Force, which contains better camera hardware, Motorola's depth algorithms need a lot of work. The Note 8, this isn't. That isn't to say the G5S Plus can't take great daylight photos — look at some of the ones I captured above for proof — but they're not particularly impressive, with muddy details. Lastly, Motorola decided to maintain the Micro-USB port, which has been eliminated from nearly every other phone being released today, budget to premium. In fact, Motorola's own $399 Moto X4 is all-in on USB-C, as is the excellent Moto Z Play lineup. The company missed an opportunity to move the needle with its Moto G lineup here. I have no idea why the Moto G5S Plus exists. It's a nice phone, and it sure looks and feels great — certainly better than any budget phone Motorola has made before. But it's just not a true upgrade over the Moto G5 Plus. I'm not telling you to go out and buy a Huawei or a ZTE; I'm telling you to buy another Motorola. Specifically, if you're looking at the entry-level $279 Moto G5S Plus, which comes with 3GB of RAM and 32GB of storage, look instead at the upgraded Moto G5 Plus, which features 4GB of RAM and 64GB of storage. At $299, it's around the same price and, in my opinion, better prepared to handle the onslaught of the real world. If you do insist on buying the Moto G5S Plus, you do get a few advantages: a bigger screen, a better front-facing camera, a slightly newer version of Android, and the knowledge that you're getting a special edition. If that's enough for you, grab it from Motorola directly. Join our Moto G5 forums!